You know you need to be putting money away for the future. But when high debt hangs over your head like the proverbial sword, it can be hard to focus financially on anything else. Once you are totally debt-free, then you can breathe a huge sigh of relief and start going all out on your savings, right? It doesn’t always have to be an either/or decision. Getting debt-free is fantastic, but in some situations, throwing every single extra dollar at debt could be cheating yourself in the long run. Here’s how to keep slashing away at your debts without shortchanging your savings. Without a safety net to fall back on when things get dicey, you could potentially be setting yourself up for even more debt. For example, let’s say a service light pops up on your dashboard and you realize your ride is in need of some expensive repairs. If you don’t have enough savings to cover for this, you might have to charge up your credit card. Many financial experts recommend saving at least three months’ worth of living expenses – so rent/mortgage, utilities, groceries, and minimum loan payments. This protects you in case something were to happen that would prevent you from working and earning money for an extended period of time. If the three months figure is intimidating right now, just start out with $1,000, or, if you can, $2,000. Quick tip: Keep your emergency funds separate from your checking account. Some might argue that there is no “good” debt, but a difference to consider is high-interest debt vs. low-interest debt. An example of typically high-interest debt is credit card debt. As of 2018, the average interest rate on a new credit card is over 15 percent. This is the kind of debt you’ll usually want to pay off as aggressively as possible. For many people, it makes sense to prioritize getting out from under high-interest debt – even if means smaller savings for now. On the other hand, some types of lower-interest debt are “designed” to be paid off over a much longer term. Take, for example, federal student loan debt. In most cases you have 10, 20, or 25 years to pay off your student loans. You may also be able to get a tax deduction on interest paid. Now, that’s not to say that it’s a bad idea to pay off student loans early if you can manage it. But with larger, lower-interest loans, paying a little extra each month might not make a big enough difference to justify skipping savings. This may be especially true if you are able to have those savings matched in a 401(k). If your employer offers 401(k) matching for retirement savings, it might make sense to take advantage of that – even if it means a little less money to throw at debt. After all, it’s kind of like “free” money, and you’re getting compounding interest plus a tax break on it. Depending on your loan situation, the interest you might save by paying off debts early may not be nearly as valuable as the return you’d be getting if you’d tucked that money into your 401(k). Once in a while, the skies open up and free money falls down into your hands. Okay, that’s not exactly what happens, but now that you’re paying attention, do you have a plan for any extra money that does come your way? This could be a work bonus, a bigger-than-anticipated tax refund, or even cash gifts during the holidays. Would you like to earmark all such windfalls for paying down debts? Or deposit them directly into your savings account? Or perhaps you’d like to divide such money between the two options. What matters is that you do have a specific plan in mind – because that makes it easier to resist the siren song of your local shopping mall whenever you unexpectedly find yourself flush with cash. You can only stretch a paycheck so far when looking for extra money. If being able to save but also beat debt at the same time is a really important goal for you, it may be time to start supplementing your nine-to-five income. Freelancing and “gig” jobs are an increasingly popular means for doing this. Perhaps you have a skill or hobby that you can transform into a second cash flow. Whether it’s DJing weddings, selling thrifted antiques on eBay, or starting a housesitting business, there’s more than likely a side hustle or two out there that suits your talents and lifestyle. Any money you make off your side gigs can go straight into your savings. Quick tip: Opting to have your savings deducted directly from your paycheck helps you avoid the temptation to spend that money instead. Want to know something terrifying? According to the Federal Reserve, 44 percent of Americans can’t cover an emergency expense of $400. What do a college student, a 30-year-old, and a workforce pro all have in common? They’d all love more income. Budgets provide a clear picture of your financial health and free you to make informed purchasing decisions, stress-free. Your carefully laid out plan for saving money and busting debt simultaneously is only as good as your ability to stick with it. Make it easy on yourself by automating your money’s movements as much as possible. Decide what percentage of each paycheck you want to save, and then have that number automatically deposited into your savings account. If you don’t have the chance to see that money sitting in your checking account, you don’t have the chance to want to spend it. 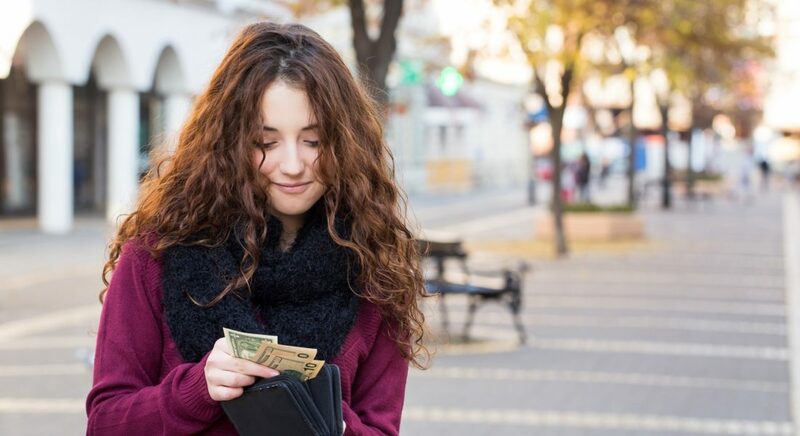 Likewise, if you are able to regularly pay extra on your loans each month, enter that extra amount into your auto payment, so you don’t have to rely on willpower alone to kiss that money goodbye every time.